Description All qualified participants in the Sinnoh Classic (シンオウダービー) received a Garchomp just like the one Cynthia used as the Sinnoh League Champion in Pokémon Diamond and Pokémon Pearl. To qualify, players must have earned a place in the rankings by completing at least three battles in the online tournament for Pokémon Omega Ruby and Alpha Sapphire. Details of this tournament have been added to our 6th Generation Online Tournaments page and are also listed below. Banned Pokémon: Players could use Pokémon with National Pokédex number 1 through 493, with the exception of the following: Dragonite, Mewtwo, Mew, Tyranitar, Lugia, Ho-Oh, Celebi, Kyogre, Groudon, Rayquaza, Jirachi, Deoxys, Dialga, Palkia, Heatran, Giratina, Phione, Manaphy, Darkrai, Shaymin, and Arceus. Pokémon brought over from Pokémon Black, Pokémon White, Pokémon Black 2, or Pokémon White 2 via Poké Transporter could participate in this competition. 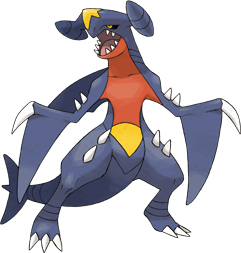 Entry Gift: All qualified participants in the Sinnoh Classic will receive a Garchomp just like the one Cynthia used as the Sinnoh League Champion in Pokémon Diamond and Pokémon Pearl. To qualify, players must earn a place in the rankings by completing at least three battles. Return to the era of Pokémon Diamond and Pokémon Pearl with the Sinnoh Classic. Put together the best team you can using the first 493 Pokémon in the National Pokédex—all the Pokémon you could have originally acquired through the Kanto, Johto, Hoenn, and Sinnoh regions. In the spirit of the 2008 Video Game Showdown, one of the first worldwide Pokémon video game competitions, all battles will be Double Battles with each Trainer bringing four Pokémon to battle. The competition used the Double Battles format and players had to register 6 of their level 1–100 Pokémon to their Battle Box with 4 able to be used during each match. Pokémon automatically became Level 50 during battles. A 60-minute time limit for each match was automatically enforced in-game, beginning at the start of each battle. If the outcome had not been determined when the time limit expired, the game automatically applied tiebreakers to determine a winner. At the beginning of each battle, players had 60 seconds to select their Pokémon to battle with. At the beginning of each turn, players had 60 seconds to select a move or change Pokémon in battle. If a player had not made his or her selections at the end of this period, the game automatically made selections for the player. Players could battle up to 10 games per day of the competition. Any unplayed games would carry over to the following day.